Nick Calhoun and Adalaide "Addie" Sinclaire have been best friends since they were five years old; through all their ups and downs, the only thing that has remained constant is their friendship. So, when Nick needs a wife of convenience for work, who better to ask than the best friend he's had an on-again off-again crush on, he refuses to act on for the sake of their friendship. Because, nothing can go wrong there right. Addie is down on her luck, after dropping out of college to take care of her grandmother and then getting kicked out of the family home by her never present greedy relatives, she is now sans family, job and a place to live. 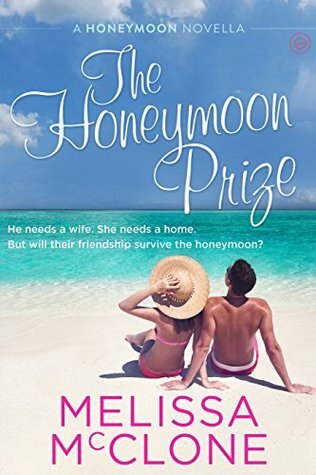 When best friend Nick offers her the deal of a lifetime; money to go back to school and a place to live, all for just two little words, how can she say no. It's not like her on-again off-again crush on Nick will be a problem, right? Well, thanks to a meddlesome friend these two have won an incredible honeymoon vacation prize, there is just one tiny, itty, bitty detail said friend forgot to mention [drum roll please], they are going to be filmed their entire honeymoon for a reality TV show; don't know about you,but this friend is off my Christmas list. How hard can ten days in paradise be for these two "friends" be when they have to act like they're over the moon in love with each other? Read the book and find out just how good these two are at acting like they're in love.